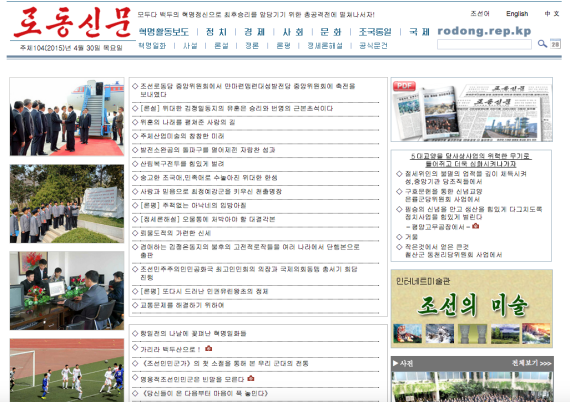 The design of the website of North Korea’s main daily newspaper, the Rodong Sinmun, was refreshed on Monday. The new site has fewer pictures on the front page and leads with a list of stories. 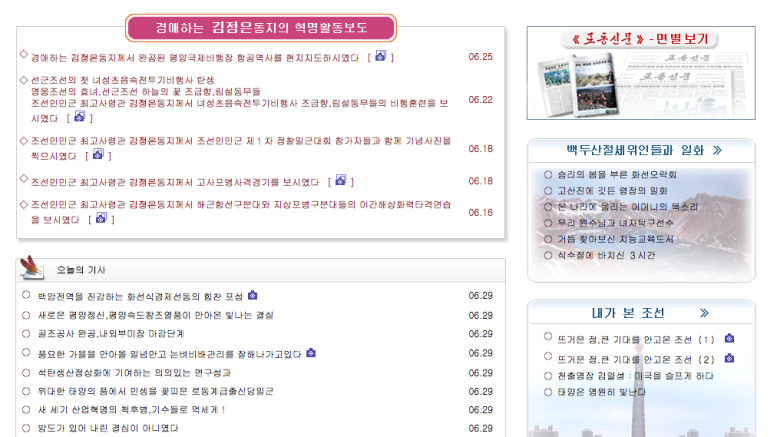 And being North Korean, features detailing the work of Kim Jong Un receive top billing.The site’s most useful feature, the daily PDF edition of the Rodong Sinmun newspaper, is still available as are photo galleries and a small selection of video files. The English and Chinese language pages have also been updated. 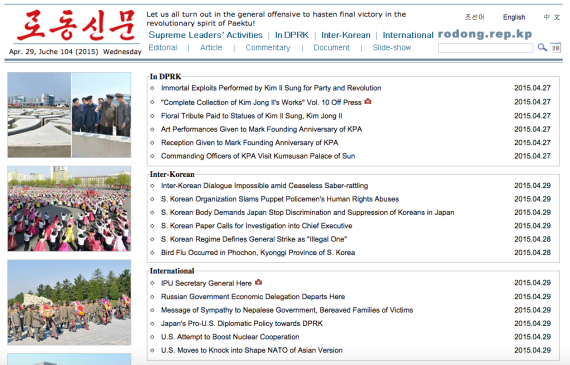 There are small differences between the English-language versions of stories carried by the Rodong and by the Korea Central News Agency. This probably points to different translators working from the same source material. I’ve noticed similar differences between KCNA copy and the English version of stories read on the Voice of Korea as well. Diverse events took place in foreign countries from June 10 to 17 in celebration of the 51st anniversary of leader Kim Jong Il’s start of work at the Central Committee of the Workers’ Party of Korea and the 15th anniversary of the publication of the June 15 North-South Joint Declaration. They included a meeting, seminar and photo exhibition in Equatorial Guinea and Nigeria, a meeting in Sweden, round-table talks in Germany and film shows in Angola and Algeria. Events were held in foreign countries from June 16 to 20 to mark the 51st anniversary of leader Kim Jong Il’s start of work at the Central Committee of the Workers’ Party of Korea (WPK). They included a meeting and book and photo exhibition in the UK, round-table talks in India and meeting in Pakistan. Thanks to Curtis Melvin for alerting me. 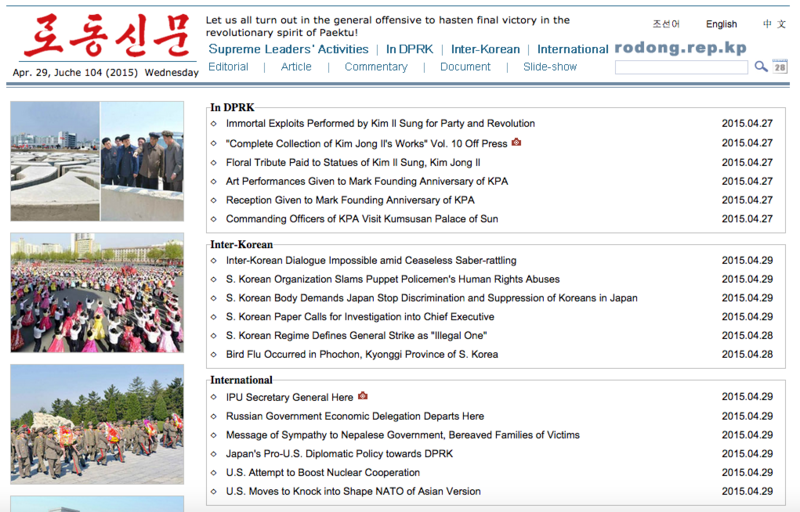 Is Rodong Sinmun using South Korean news photos without permission? 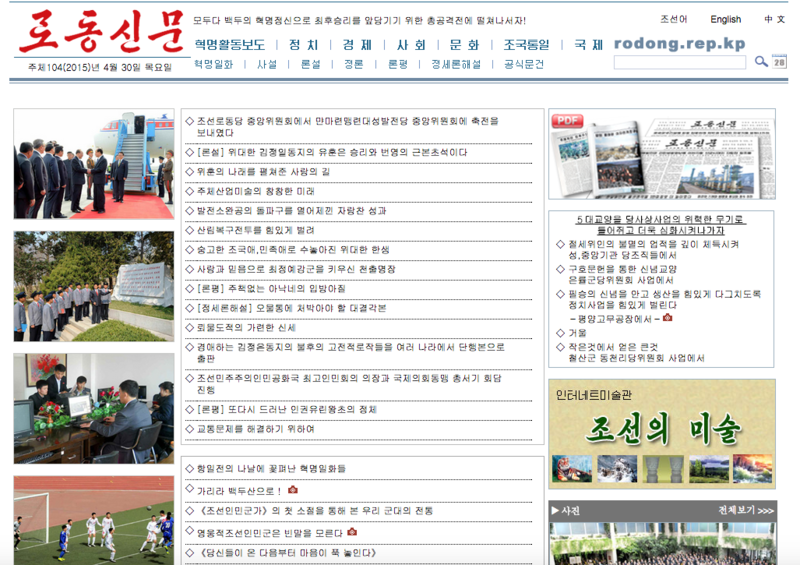 1 Comment on "Rodong Sinmun website gets a facelift"
A little easier on the eye than KCNA. I’m linking NK Tech in an article I’m writing about NK which has always fascinated me.